I love hooded towels for small children. They look so sweet. 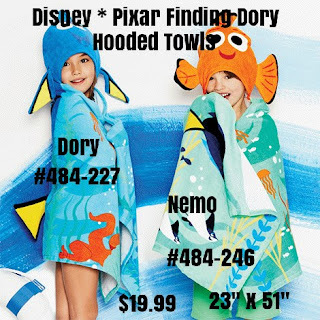 These Finding Dory hooded towels are in the Campaign 22 Avon Outlet Brochure. They are a good price to stock up and put up for Christmas gifts.